It evidently is not on. Disclosing a state of affairs surrounding the Prime Minister of Australia, through revealing a secret scholarship that his daughter received is something that can land you a sentence. It shows the absurdity of understanding the quality of information, and its effect. Such material was hardly even of the order of hacked files from Department of Defence servers. It did not involve an individual carting off the nation’s pearls on national security. It was all opportune – Newman, working as a part-time librarian at the Sydney-based institute, accessed the internal computer system. Abbott’s daughter, Frances, was working at the Melbourne campus of the same institute, though she lacked any specific role. Such papers as The Australian smelled a rat, but if they did, that rat was emitting a strange odour. Grand claims were made of Newman’s role in a plot that was intended to sabotage the Prime Minister. She had been part of a dirty scheme that involved “access to the files of Ms Abbott and more than 500 other students.” Chris Graham, the owner of New Matilda, and contributing editor Wendy Bacon, were seen as part of this grand scheme, with Newman keen on “talking tactics” with them on the subject of the obtained material. Such is the lot of those whose fingers find themselves in the tills of power – there is always a conspiracy afoot to find them. In September, Newman pleaded guilty to breaching the relevant section of the NSW Crimes Act prohibiting access to restricted data held on a computer. She was due to be sentenced on October 23, but it was decide that the sentence be deferred for another month. 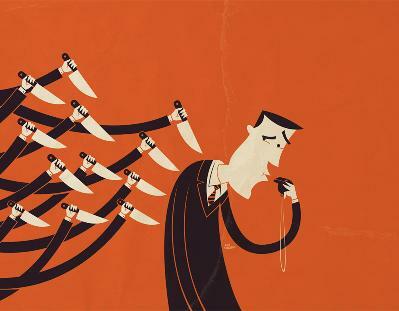 While the sentencing awaits, the punishment of such conduct demonstrates, yet again, the woeful state of whistleblower protection in the country. Loopholes abound in the laws. Exemptions and dispensations are replete through legislation dealing with national security, freedom of information and employment. But the most notable thing about Newman’s case was that she fell into the loophole of loopholes, not being a government employee. Instead, critics can point to the problems that this verdict will do – create a curious, but troubling variant of political prisoner on Australian soil. This is not as extreme as it sounds. Globally, a species of detained individual has become the norm, be it such individuals as Jeremy Hammond and Barrett Brown in the context of exposing the behaviour of Stratfor, or more conventional agents like John Kiriakou who spend time behind bars because of revealing the use of torture by the Central Intelligence Agency. The barrister representing Newman has had to resort to working within the most unsatisfactory rules, suggesting that the case was “very much at the lower end” in terms of seriousness which did involve a breach of “her employer’s trust”. Nor did the disclosed material reveal “overtly sensitive” details, be they in the nature of bank account details or an address. She undertook her conduct in a state of ignorance of the law, and did not gain the material “seeking personal notoriety”. The person who has ambled off merrily into the political sunset is Prime Minister Abbott, who seems more Teflon-like the longer he ambles through office. That a young journalist may well spend time behind bars for revealing a deal of good disgrace is suggestive of a man who holds ideas of liberty in contempt. All this, despite claiming before the conservative Institute of Public Affairs (IPA) in August 2012 that he, and his party, “stand for the freedoms which Australians have a right to expect and which governments have a duty to uphold.” This is the raison d’être of retribution – to punish disclosures, however small, that give the game up on the lie of governance.